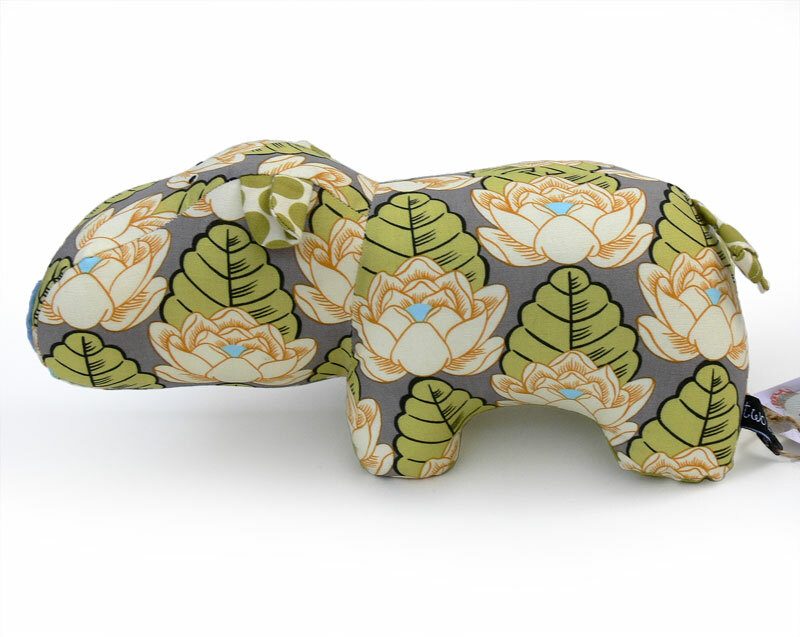 This happy, hungry Hippo is flaunting a floral motif. 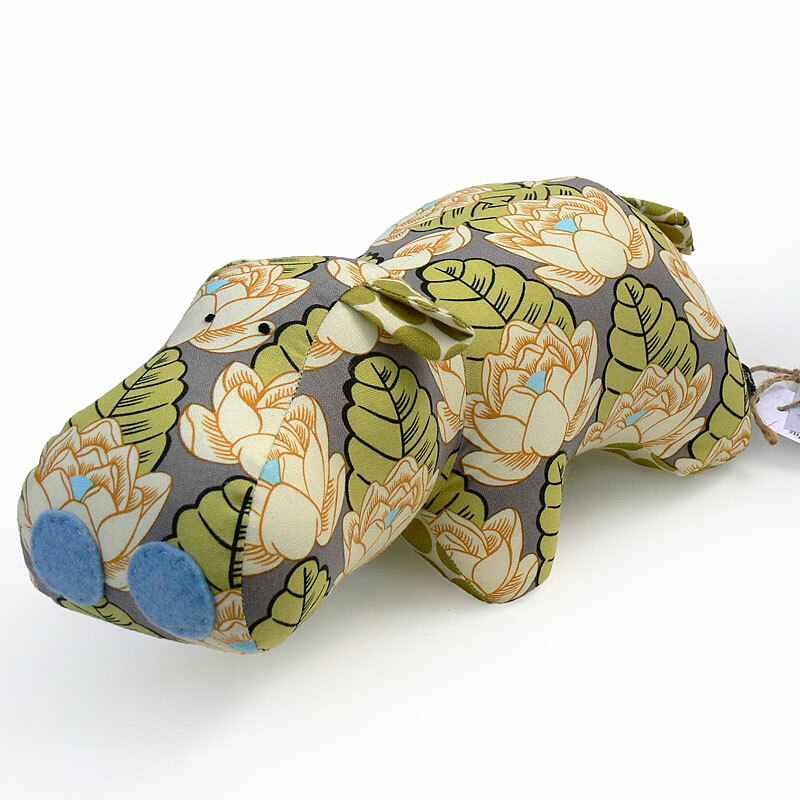 He comes from Kate Henderson's wonderful collection of handmade creatures. 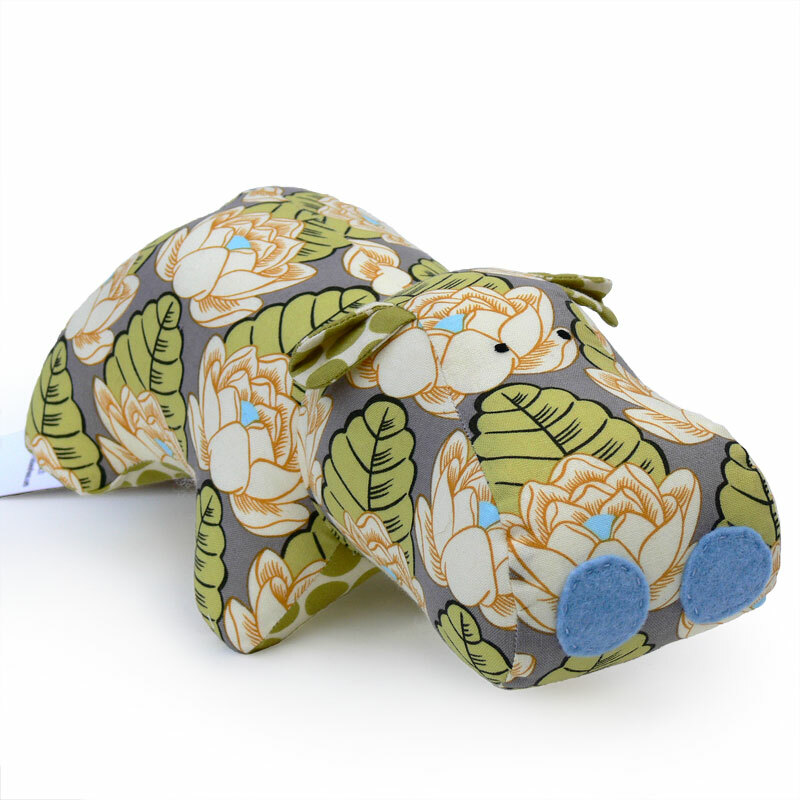 Hippo is made from cotton and stuffed with polyfill. 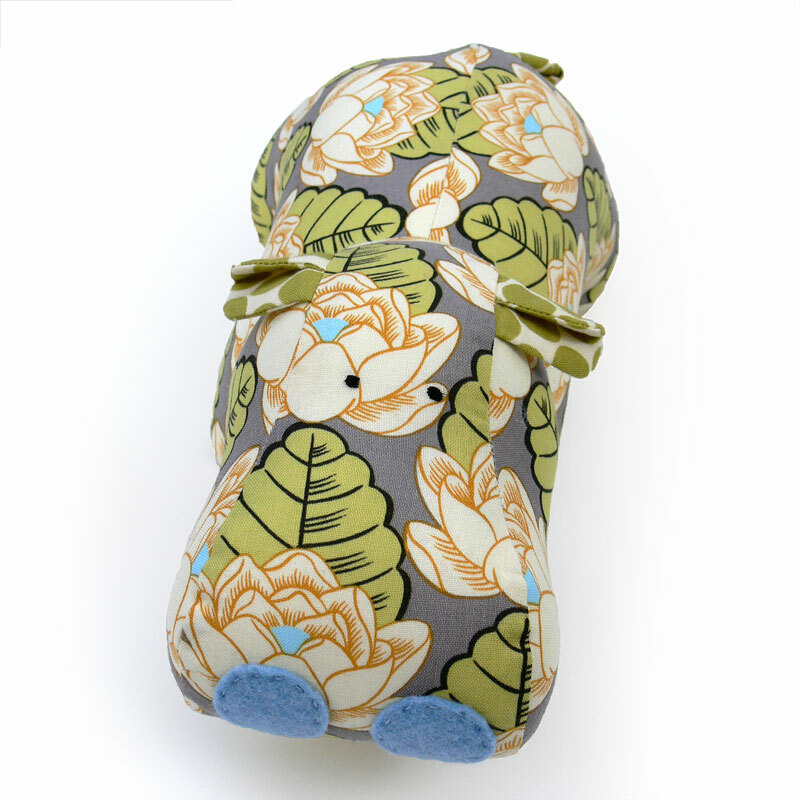 His ears are securely sewn in and her eyes are embroidered on. His nostrils are wool felt and are hand sewn on. He is 9.5 inches (24cm) long (without his tail) and 4.5 inches (11.5cm) tall. Kate has tried to make him safe for small children, but it's recommended children under 3 be supervised while playing with him and the nostrils should be removed.